Oh! What a lovely day. I wish to be a kid again, because being kid doesn’t have too many responsibilities in life. All you do is eat, play, sleep, and poop. Whether to listen to your parents or not and no bills to pay for you are all covered by your parents. Everything is FREE. Just like this one here, it seems that my son has nothing else to think about but relax. He looked so peaceful and calm, something that we adults would need to have in our life. This is another photography that I took that turned great. This was in our backyard while we enjoy one Sunday afternoon. Kids are always on the go! I love your hammock Mommy Nova. Looks like your son is enjoying his siesta. I want a hammock like that for our backyard. What a pleasant reminder that life needs to have down time. Beautiful picture! 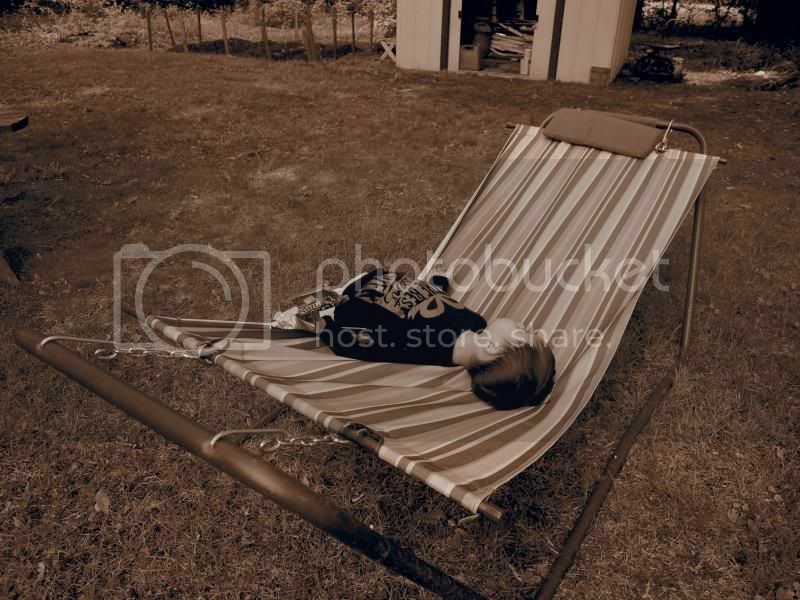 Such a sweet pic on hammock.